Do Your Employees Say You Have a Trust Problem? 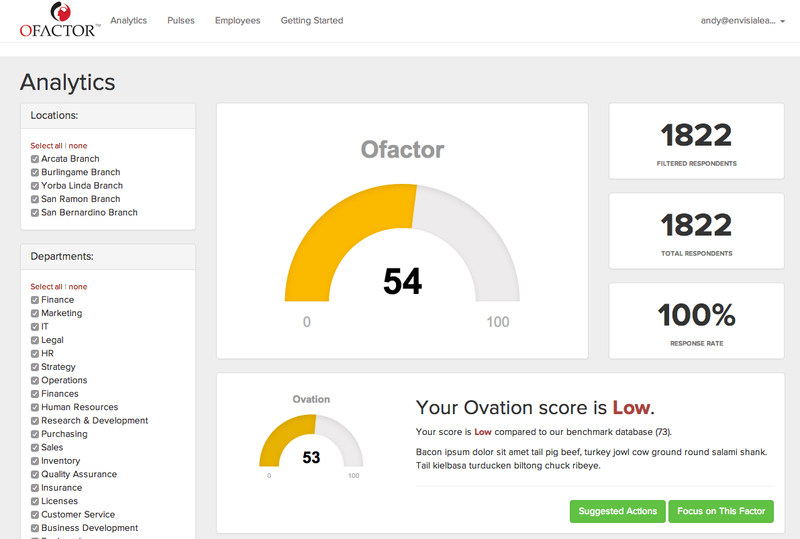 Ofactor Increases Leadership, Team and Organizational Trust in 3 Minutes Per Day. If your latest climate or engagement survey told you trust was an issue, we can help. A neuroscience-based organizational trust survey. 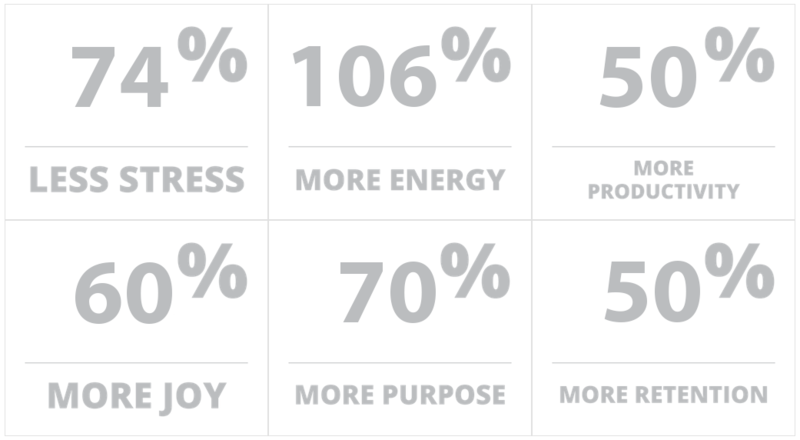 We measure 8 key levers that contribute to 100% of the variance in organizational trust. Dig deeper into exactly what is causing a lack of trust between team members and leadership. Slice and dice data by job level, tenure, department and other demographics. Identify pockets of low-trust and high-trust within the organization. Micro-learning interventions designed to reach the entire organization. It takes a change in culture to build organizational trust. Our interventions effectively and affordably reach the entire organization. Where does your organization fall short on trust? Take a 16-question Ofactor Trust Survey to see which of the 8 key levers of organizational trust you should be focusing on. Click the most appropriate response to the statement below to get started. Our experience with the use of the Ofactor and subsequent results led to a transformational shift in our culture. Our work with Ofactor led us to move quickly through the continuum of employee satisfaction to engagement and trust to our higher shared purpose of unleashing human potential - experiencing joy and fulfillment in the workplace. I would say that Ofactor's work with us was the catalyst to drive a different experience for our employees and all of our stakeholders, resulting in growth for our people and our bottom line.